It’s February—a month not only for celebrating love and Valentine’s Day, but for honoring a sphere of American history, people, and events that have often been overlooked in this land: African-American history. While I am still an early learner, I continue to be amazed at how many American heroes and sides of history are new to me. As a schoolteacher myself, I was fascinated to start learning a bit of the unique history of African-American schoolteachers when researching one of my historical novels. I thought I’d share a few tidbits with you today; this post will only touch the surface, but hopefully we will all be inspired to learn more! 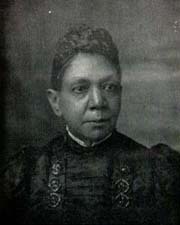 Fanny Jackson Coppin, first African-American female school principal (Institute for Colored Youth, Philadelphia). Reminiscences of School Life, and Hints on Teaching, Public Domain, Wikimedia Commons. 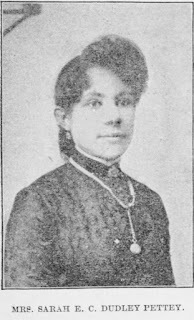 My interest in this topic was first piqued when I learned about Miss Miner and her school. 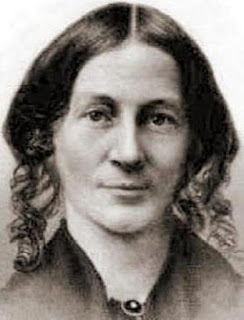 In the days of American slavery, it was illegal to teach slave children to read or write, as Miss Myrtilla Miner discovered when she came from New York to teach the children of plantation owners in Mississippi in the 1840s. When she wasn’t allowed to start classes for black girls down south, she came back home determined to start a school. Despite much opposition, her Normal (teaching) School for Colored Girls opened in 1851 in Washington D.C., partly thanks to support from Rev. Henry Beecher and his cousin Harriet Beecher Stowe, who donated $1000 of the proceeds of Uncle Tom’s Cabin to starting the school. 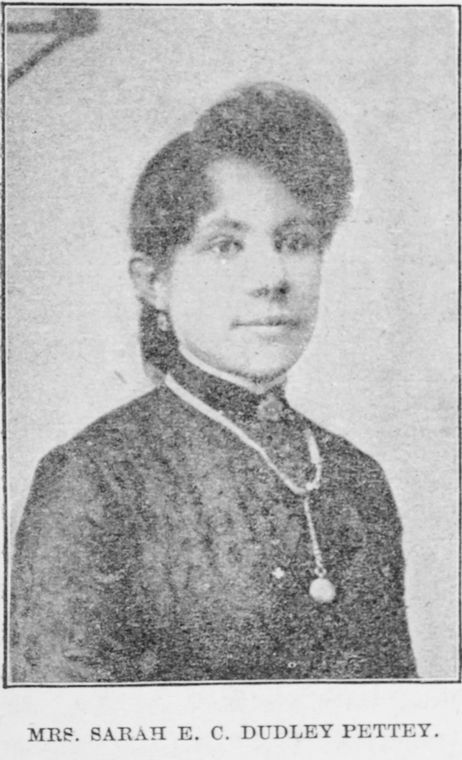 While the school covered a broad range of subjects, from the beginning Miss Miner’s focus was on training African-American girls to become teachers themselves. By 1858, six of her students were already successful teachers in their own schools. 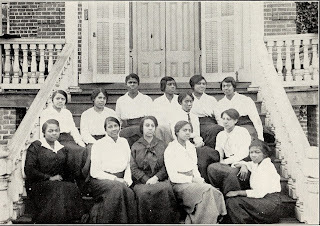 The school faced much persecution and had to move multiple times because of it, but under various names such as Miner Normal School, the Institute for the Education of Colored Youth, and a merge with the District of Colombia Teacher’s College, it remained the primary training ground for African-American elementary schoolteachers in D.C. up through World War II. Eventually the school was incorporated with others to form the University of the District of Colombia in 1976. Of course, many other fine schools sprang up to train African-American teachers as well, as you can see in these photos. Schools for freedmen (former slaves) and their children proliferated in the decades between Reconstruction and the Civil Rights movement, but their dedicated African-American teachers consistently suffered from the effects of a racist system and society. Pay rates were always lower than that of white teachers, while school supplies came scant and of low-quality. Teachers could even be dismissed for belonging to the NAACP (National Association for the Advancement of Colored People), and the National Education Association would not allow black teachers to be members. 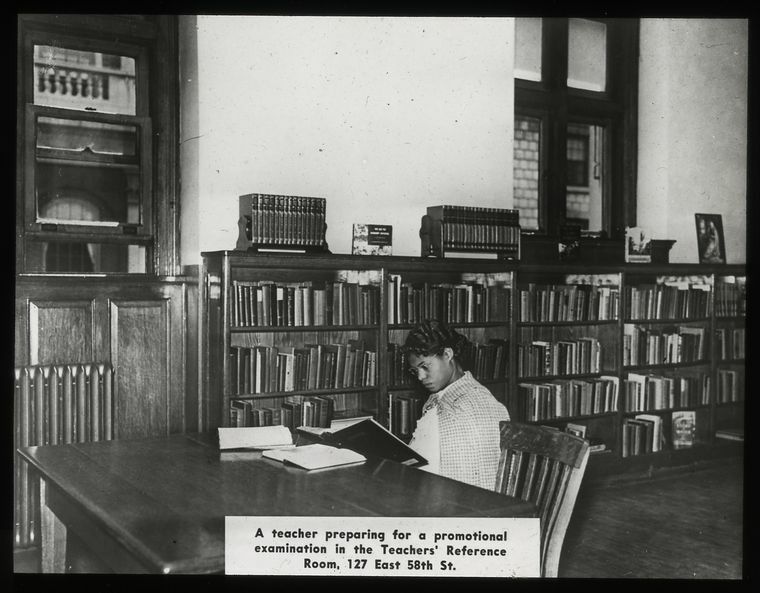 African-American teacher prepares for promotional examination, 1938. Teacher Viola Duval Stewart did challenge the unequal pay for black and white teachers in Charleston in the 1940s, and with aid from Thurgood Marshall and the NAACP, won. However, widespread inequality continued. Despite all obstacles, these courageous teachers persevered in making a difference in the lives of children. And make a difference they did, encouraging their dreams, affirming and fostering their value, curiosity, and intellect, just as teachers do all through the country and the world. Ironically, after the landmark Brown vs. Board of Education Supreme Court decision that school segregation was unconstitutional, the number of African-American teachers actually went down. While black and white children now had to be integrated in schools, that meant most mainstream schools were governed by white authorities and influenced by white parents, many of whom were tragically reluctant to have black teachers for their children. In fact, of the 82,000 African-American teachers in American at the time of desegregation, 38,000 black teachers and administrators lost their jobs over the next eleven years, mostly due to the closing of all-black schools and the reluctance of other schools to hire them, even with sterling credentials. We still see the effects of this in our schools today. of the Woman's Home and Foreign Missionary Society of A.M. Zion Church. In my fourth year of teaching myself, I appreciate more and more all the sacrifice and giving of teachers to young people everywhere. I’m humbled and inspired by all these teachers we’ve learned about today who have had to overcome so much more than the usual obstacles, yet persevered for the sake of their students and the generations to come. And I’m grateful for all the African-American teachers today who inspire me, but most of all their students! Do you know much about the history of African-American schoolteachers? Any facts or tidbits you can add to our conversation today? What about a teacher who impacted your life? Please comment and share! Kiersti Giron holds a life-long passion for history and historical fiction. She loves to write stories that show the intersection of past and present, explore relationships that bridge cultural divides, and probe the healing Jesus can bring out of brokenness. 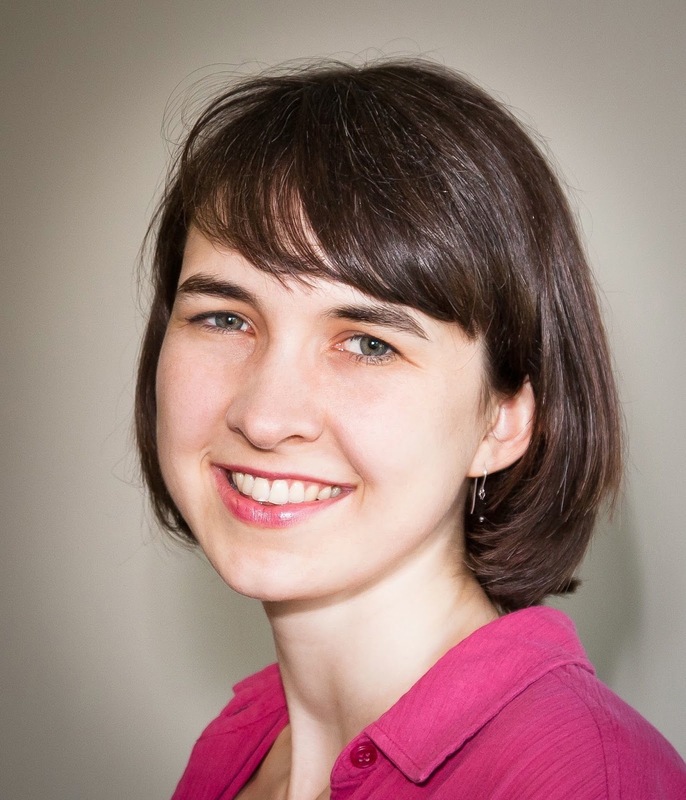 Kiersti has been published in several magazine and won the 2013 and 2018 Genesis Awards – Historical for her novels Beneath a Turquoise Sky and Fire in My Heart. An English teacher and member of American Christian Fiction Writers, Kiersti loves learning and growing with other writers penning God's story into theirs, as well as blogging at www.kierstigiron.com. She lives in California with her wonderful husband, Anthony, and their two kitties. This is my own ignorance showing, but I wonder where racial prejudice began. The Bible speaks of using the practices of a people in their religion (whom and how they worship) as a form of "judging", if you will, but that is not a racial prejudice. I don't mean to open a can of worms here, but I don't believe the Bible encourages racism. I just can't imagine using the color of someone's skin as a determinant for their character. Thanks for the post. My comment isn't exactly on the points you wanted to draw out!!! I am so grateful that there were people dedicated to education for everyone and who would step out willingly without regard to personal ruin and sacrifice to enable that goal. Good question, Connie--I love your heart to explore this topic. I am definitely still on a learning journey too! Certainly the Bible has examples of cultural prejudice (like between Jews and Gentiles and Samaritans), but from what I've heard, pure racial prejudice developed more around the 1500s as a justification for the growing slave trade. And with our sinful hearts, it's been awfully hard to root out! I'm grateful too for all who have selflessly given and sacrificed to help us make progress, and I hope we can be among them in our generation too. One of my favorite junior high school teachers was Mr. Jordan, my science teacher. At the time I had no sense of what he probably faced as part of a mostly-white faculty in a racially tense time in E. St. Louis, Illinois, but I look back with increased respect. Wow, what a neat testimony, Stephanie. I expect Mr. Jordan would be blessed to know you remember him now.